It is with deep regret that FDNY announced the line of duty death of FDNY EMT Yadira Arroyo on March 16. EMT Arroyo, 44, was assigned to Station 26 in the Bronx and bravely served the Department for 14 years. 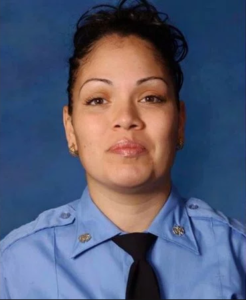 EMT Arroyo was critically injured while responding to a medical call in the Bronx when an individual seized control of her ambulance and struck her. EMT Arroyo was transported to Jacobi Medical Center where she succumbed to her injuries. EMT Arroyo is the 8th member of FDNY EMS to die in the line of duty, and the 1146th member of the Department to make the Supreme Sacrifice while serving our city. EMT Arroyo leaves behind a large and close-knit family, including five sons ages 8–24, and her mother, Ms. Leida M. Acevedo-Rosado.